The Clickbooth family would like to express our sincere gratitude to the Sarasota Economic Development Council and Sarasota County for their excellent leadership and commitment to further developing the Sarasota Community. The Sarasota EDC’s mission is “to grow, diversify and sustain the economy of Sarasota County while enhancing our unique natural and cultural environment.” This mission aligns perfectly with our commitment to expand the technology and marketing sphere in a city with such unique cultural attractions, performance arts, amazing restaurants, and who can forget – the beaches! Here are a few more things that we love about Sarasota! Why we love it? Sandy, crystal-white beaches that stretch for miles, chic little shops, funky boutiques, restaurants like with amazing seafood (i.e. the “hot spot” landmark Siesta Key Oyster Bar), and killer mojitos. Why we love it? 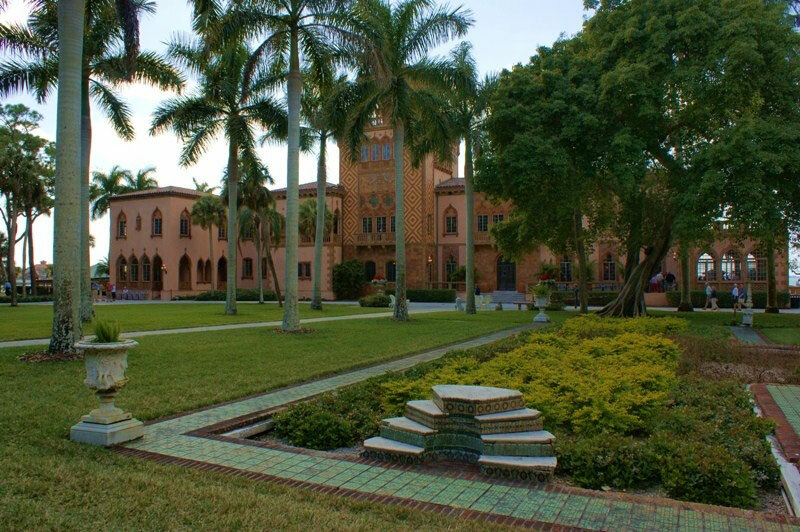 The Ringling Museum is simply stunning – art enthusiasts travel from across the world to see this beautiful attraction. From the Cà d’Zan mansion, to the lush grounds and gardens, to the Historic Asolo Theater – we are thankful to have this historical museum in our own backyard! Why we love it? A rooftop bar, the best Sangria on the planet, Spanish-style Tapas to die for, and a pool-side patio. Rabo do Torro (Oxtail in a red wine sauce) is definitely delish. Try your dancing moves out at Flemenco Night from 5PM-2AM, Th-Sat. Why we love it? The energy, the lights, the music, and the various attractions located right on the coast of the Gulf of Mexico. Sarasota’s downtown comes to life at night with a bustling Main Street area that offers a variety of entertainment, bars, and nightclubs. A few places we enjoy include: Horsefeathers Bar & Grill, McCurdy’s Comedy Theatre, the Jazz Club of Sarasota , and the Gator Club which has live music 7 nights a week. There are endless restaurants, museums, beaches to enjoy – and honestly, the list could go on forever. Most importantly, everyone who lives in Sarasota knows that the way of life here is very unique. Here at Clickbooth, we have a very progressive culture. We believe in innovation, new ideas, and forward momentum. That is what Sarasota is to us and we definitely look forward to helping to grow Sarasota’s economy for many years to come. We are so proud to have our home right here and it’s a great privilege to work hand-in-hand with the Sarasota EDC and Sarasota County.